Soil : Thrives in wide range of soils and tolerates alkali soils. Comments: Does well in Alamosa. Beautiful yellow blooms in the fall. Is frequent in northern New Mexcio. 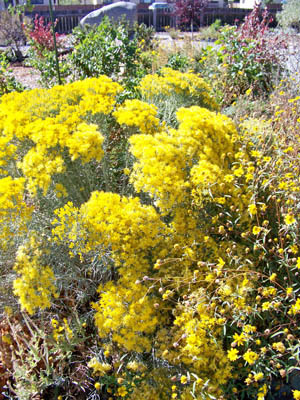 Moved from genus chrysothamnus in 1993.